At the tall ships festival it was really difficult to get a shot of a ship’s interior. They were quite dark but too crowded to set up a tripod. And trying to get one without any tourists in it was a trick. This is the Étoile du Roy (“King’s Star”). 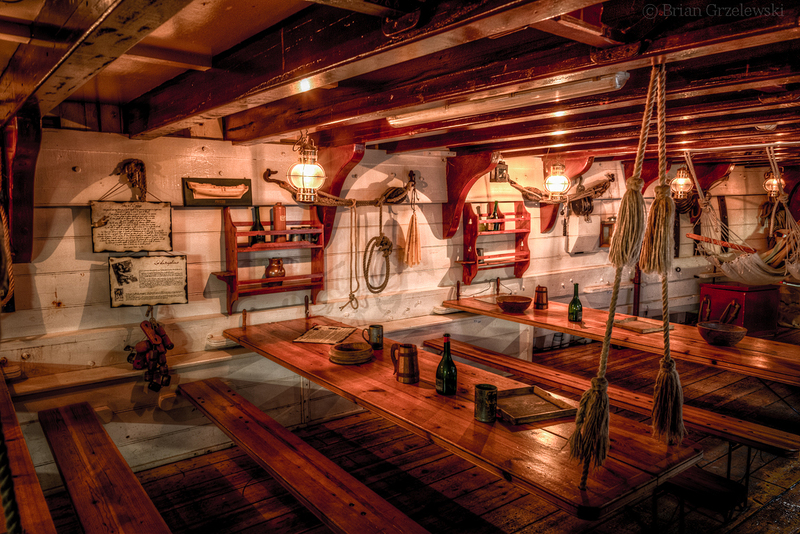 They had the mess deck looking nice so you can imagine an evening sitting here enjoying a drink after sailing all day.